When it comes to innovative products that redefine our technological world, Apple has been at the forefront of the digital revolution. From reimagining the smartphone to introducing us to the practicality of tablets, there are numerous reasons why Apple is looked at with high esteem whenever it announces a brand new product line. You could say that Apple has a knack for taking a pre-existing concept and improving it! Over the last couple of years, there's been a huge focus on making the home smarter by implementing these various connected gadgets. Smart speakers, in particular, have been getting more traction recently and have shown us all how useful they can be. Apple, interestingly enough, is a little bit late to the game – albeit, most are going to be optimistic about the endeavor. But despite the high expectations, does the Apple HomePod really rock the house? "It does manage to strike a balance between chic and modern. Just keep it far from cats, as they might like the feel of their claws against the mesh fabric." Our reaction to seeing the HomePod for the very first time is that it's fairly compact, but sizing it up can be deceiving. After placing it next to a Google Home speaker, it becomes clear that it's bigger. The HomePod isn't grossly out of proportion, but compared to the Google Home, it occupies a substantially larger area on your desk or table. On the other hand, the HomePod stands in the same size category with the Sonos One and is significantly smaller than the Google Home Max. With the HomePod, Apple manages to strike a balance between chic and modern. The speaker has a rounded, cylindrically shaped body adorned with this mesh-like fabric material. But while we do like how the speaker sports a very natural texture, we're a bit concerned because it gives it an almost spongy-like feel. For any cat owners out there, don't be shocked if your pets mistake the HomePod for a scratching post. On top of that, we're curious to know how this softer-feeling material will hold up over time. On the top of the speaker is a touch-sensitive surface that's referred to as a "display" – along with LED-backlit volume up and down touch buttons. This "display" of sorts functions as Siri's portal, appearing as this dynamic-looking swirl of colors when listening to our commands and reacting to them. Additionally, the touch-sensitive display performs media functions as well with various taps and long presses, such as pause/play and track forward/reverse. So far, it seems responsive to the touch, but we wish that this "display" could do and show more things. Audiophiles might be tough to please, but they'll be especially impressed by how much is crammed into the HomePod! Factoring its size and all, it's astounding how the engineers were able to precisely pack everything together. Specifically, the HomePod features a 4-inch high excursion woofer with a custom amplifier that channels sound through the top of the speaker, a six-microphone array around the middle, and 7 tweeters on the bottom. All of that has been meticulously arranged to fit inside of the housing. The biggest complaint we have about the design of the HomePod is that the fabric-wrapped power cord isn't meant to be user-detachable. It will come out of its socket if you pull hard enough, which is good news since you won't have to replace the entire speaker if only the cord goes bad. But on the other hand, we're not sure if replacing a faulty power cord yourself would be an option. Being Apple's first venture into the smart speaker arena, we're most eager to uncover what the HomePod can do in the home. Fashionably Apple, the process is relatively painless when it comes to setting up the HomePod out of the box. After plugging it into the outlet, the speaker comes to life with the soft white glow emitted by the touch-sensitive display. From here, the connection is established by simply placing our iOS device, an iPhone X in this case, in close proximity to the HomePod. And the rest is done for us, much like the setup process with the AirPods. Siri is the driving force behind the HomePod's capabilities, which, in our experience, pales in comparison to Google Assistant's reach with the various Google Home speakers in circulation. Getting Siri to listen is achieved by simply speaking the key phrase "Hey Siri," much like how it's done on the iPhones. So far, it's been spot-on with recognizing our voice – even when there's some music being played in the background. You can ask Siri all sorts of questions and commands, like what's the weather going to be on a particular day or how tall Michael Jordan is; you can ask her to perform mathematical conversions or some obscure questions. For the most part, Siri provides relevant answers. Emphasis on most! Since she's connected to our iPhone, Siri can also read our text messages aloud, which is useful. Currently, however, the feature has a critical flaw: anyone, including a stranger, can ask her to do that. The issue that we have with Siri on the HomePod is that it just isn't as intelligent as its rivals, which becomes even clearer when you ask questions and follow up with more after that. You would think that Siri is smart enough to know what you're asking based on contextual clues from previous questions, but we've come across countless occasions where she fails. For example, we asked for the recap of the Super Bowl game, which she answered correctly, but failed to offer something tangible with a follow-up question asking who was named the most valuable player of that game. Furthermore, a lot of people are increasingly leveraging smart speakers to help control other connected devices in their home. For us, we managed to set up the Philips Hue Lights to communicate with the HomePod through Apple's Home app on our iPhone X. Through the app, you can add additional supported accessories. From what it looks like, though, the support seems to be on par with what's offered by Google's Home speakers. In our case, the only thing we're able to connect are a few Philips Hue LED light bulbs. Sure, we have other home-connected products, like a couple of Piper security cameras, the Logi Circle camera, and even a Ring Video Doorbell, but none of them are supported by HomeKit just yet. You bet it's a little bit frustrating that all of these home-connected gadgets can't be integrated into the same ecosystem, but this isn't just an Apple problem, it's a problem for everyone. The same situation is present using the Google Home speakers: Hue lights aside, none of the aforementioned devices are supported just yet. Finally getting on board the smart speaker train, Siri on the Apple HomePod needs a lot more tweaking and learning before she'll be able to hang tight with the likes of Amazon's Alexa and Google's Assistant. In its current iteration, Apple's assitant is at a distant third. But at the very least, the core functions are there – Siri just needs to be expanded upon to reach the same level of satisfaction we get from its contemporaries. "Absolutely impressive! you'll be blown away!" At the core of it all, the HomePod is a speaker made to play music. And you know what? It doesn't disappoint in this key area! What's fascinating is the technology behind its performance. It's unseen, tucked behind that mesh fabric, yet it leverages comprehensive software to deliver one of the best-tuned smart speakers we've come across to date. The first standout with the audio performance of the HomePod is the raw power behind its punch: it packs a wallop in a way that you can sometimes feel how the audio reverberates off your body. Even at the loudest volume setting, there's no hint of distortion or crackling – albeit the bass output seems less pronounced at this level. Instead, it's most prevalent between the 50% to 75% volume level. But even beyond that, we're impressed by the fullness of its audio output. The rumble from the bass tastefully complements the mids and highs, which are rich and clear at all volume levels. Apple touts the incredible technology behind its HomePod speaker, like how its A8 chip analyzes the HomePod's surroundings to deliver the optimal audio experience. 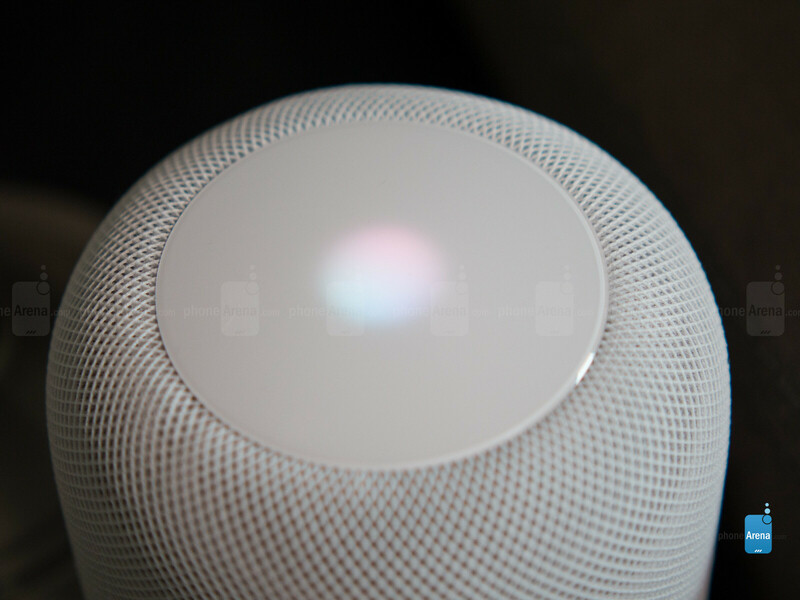 Whether it's sprawled out on a table in the middle of an open room or tucked away in a corner hidden from view, the HomePod leverages all of its complex technologies to intelligently adapt to the conditions. From the beamforming of its microphones to advanced echo cancellation, all of these technologies work harmoniously together, discretely as well, to ensure a high-fidelity performance. 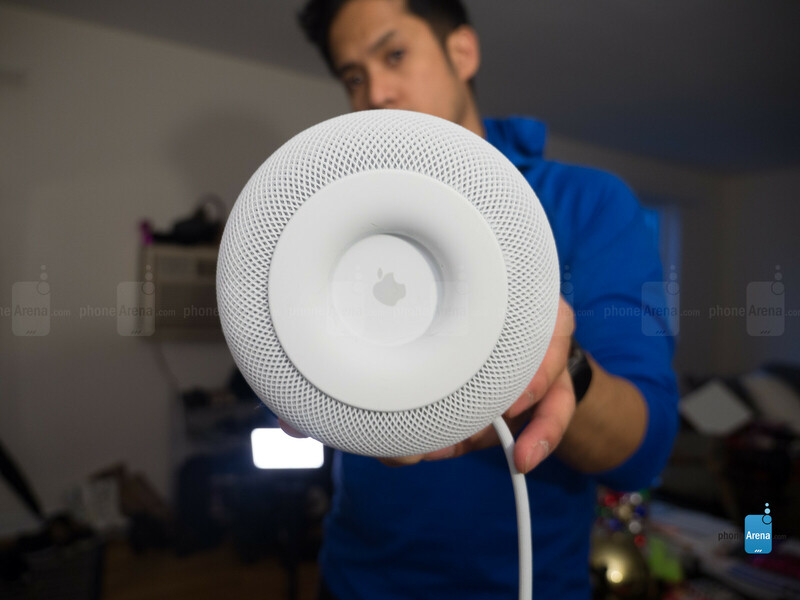 That's the beauty of the HomePod and what sets its apart from its rivals, which are generally tuned in a particular way. Essentially, no matter where it's positioned, the HomePod just works really well. 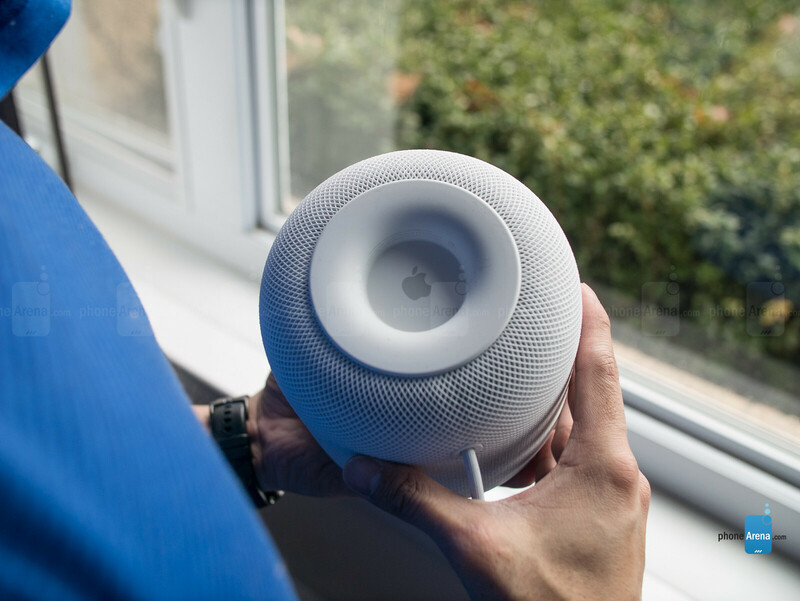 You could say that its ability to sense the room is just a bunch of mumbo-jumbo, but quite frankly, we're impressed by how well the HomePod sounds no matter where it is placed. Quite simply, there's no comparing the audio performance out of the HomePod versus something like Google's Home speaker. Maybe the Google Home Max might be a more suitable comparison, but we haven't come across it just yet. Regardless, the HomePod puts to shame the vast majority of smart speakers currently on the market. "Sorry, Android owners, the HomePod only supports iOS devices at this time." Even though the specs show that the HomePod does indeed pack Bluetooth 5.0, its only main mode of connection is through its 802.11ac Wi-Fi with MIMO radio. 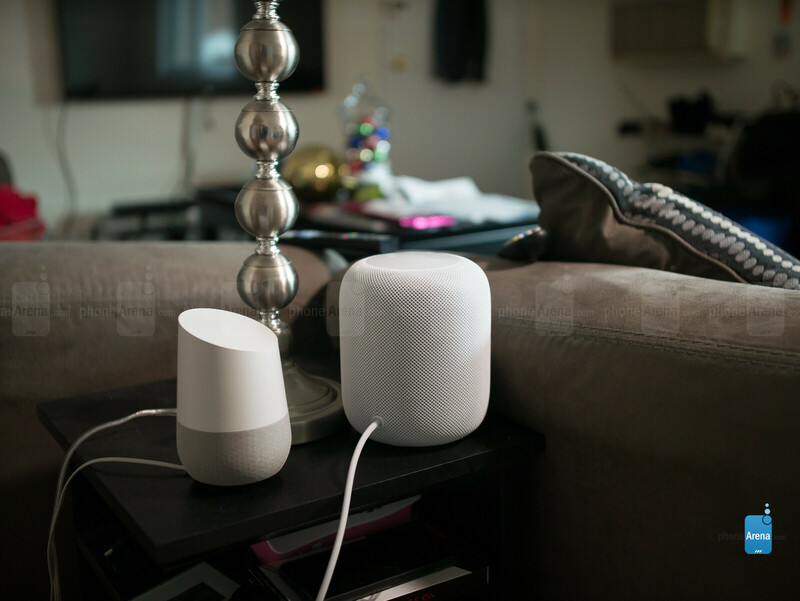 It shouldn't be a surprise for anyone who owns a network-connected smart speaker, but this simply makes it a little bit more difficult for your friends to come over and play music off their mobile devices. In fact, it's a requirement to use an iOS device with the setup of the HomePod – so Android devices don't apply here. On one hand, we understand the need to keep the ecosystem consistent, but this severely limits the HomePod's potential to reach a wider range of consumers. Another key thing worth mentioning is that the HomePod taps into Apple Music as its default music platform. Meaning, if you're not subscribed to the service, you're limiting the potential of the HomePod. If you're coming from a Google Home speaker or Amazon's Echo, you'll be in for a rude awakening when you learn that the HomePod can't tap into other services on its own. 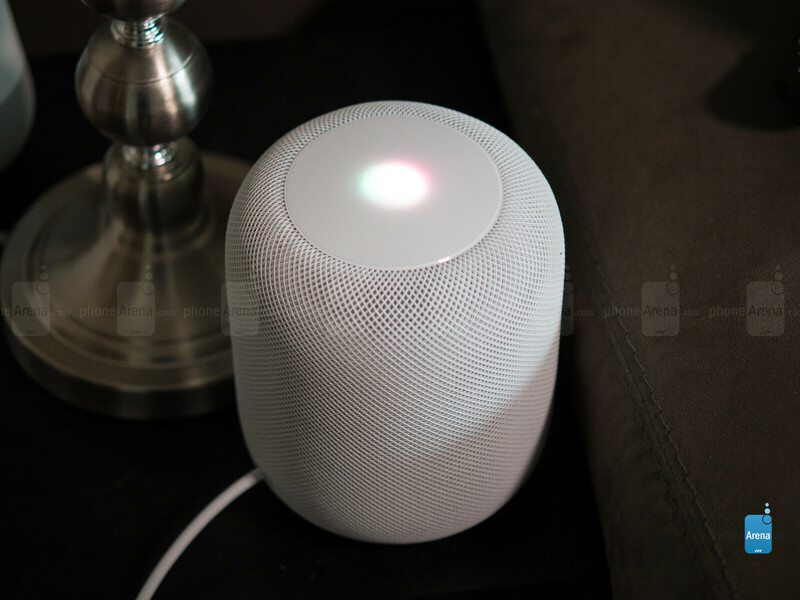 But rather, you can utilize the AirPlay feature in supported apps, such as Spotify or Pandora, to get music playing from your iOS device to the HomePod. Without question, there are limitations right from the onset that we hope to see addressed down the road. For starters, it'd be nice if they open up support for different devices besides iOS ones, as well as music services. Later this year, you'll be able to connect two HomePods together for even more audio fidelity. Smart speakers have been growing in popularity not only thanks to their functionality and intuitive integration in a smart home environment, but also with their reasonable pricing. Most of the popular ones, like the Amazon Echo and Google Home, have already proven that they're of good value for what they cost. Apple's entrance onto the scene with the HomePod is guided by a totally different strategy. We are already familiar with the speaker's limitations and areas of opportunity, but what's arguably its biggest drawback is its pricey cost. At a whopping $350, it's isolating its potential reach – making it more of a buy for audio aficionados; this isn't a speaker trying to permeate through the masses. To its credit, though, the Apple HomePod is incredibly rich, sharp, and undeniably powerful with its audio performance – so in that regard, they've hit it out of the park. Still, because of its expensive cost, the HomePod will be reserved for those who have the disposable income. Considering some of Siri's inabilities, that's yet another thing to think about when sizing up its value. For raw audio performance, however, the HomePod crushes the competition. Hmmm. Fair review given the flaws. Maybe next time. Just about to say the same thing. If it didnt claim to be a smart speaker but rather just a speaker, I probably would have given it higher. Siri is just not smart enough, let alone a gimped siri. This HomePod currently does not support Stereo sound. 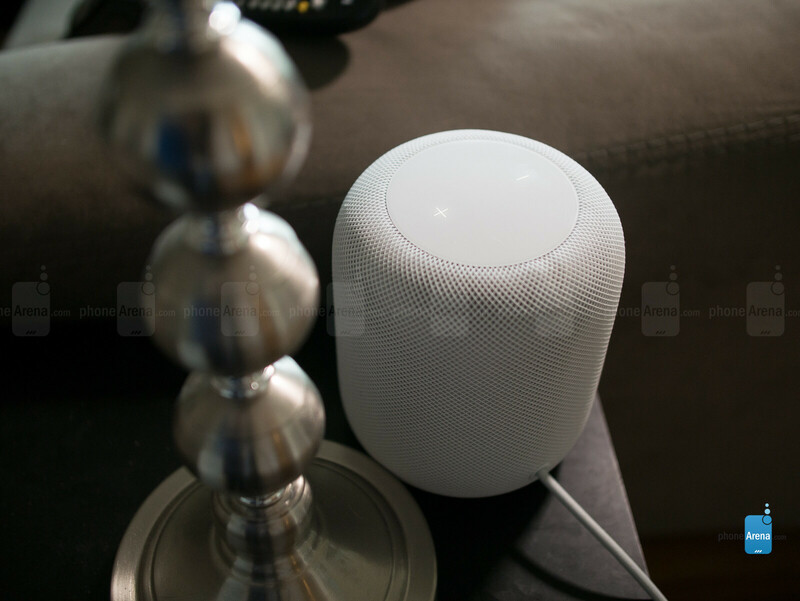 Apple themselves have said that a future update will be coming and the HomePods will work in Stereo mode. So you will need 2 HomePods in order to have Stereo sound. Now that price is over $700 for a stereo sound system. That only supports Apple Music, and you have to AirPlay everything else. Keep it. Still won't be two distinct channel stereo. Will only be two single channel audio from two different sources. Nah, I think the overall consensus says the HomePod is the better sounding speaker. "i just dont understand their restrictions...." Same can be said of just about every other Apple product... Silly and unreasonable restrictions to only lock down consumers into their ecosystem. The cons really drive the point home that this device isn’t going to be widely accepted or owned: no support beyond iOS, no support beyond Apple Music, and a $350 price tag. I can already see Google and Amazon harping on those negatives in new ads. And I can also foresee Google perhaps dropping $50 off the price of the Max to steal some sales. There's enough brand-jockey fans that will have this speaker do very well for sales even though they have no idea what they are buying. "The cons really drive the point home that this device isn’t going to be widely accepted or owned: no support beyond iOS" People said same thing about Apple Watch :) Of course this will sell very well. This also helps people to get good sounding speaker, not that many knows anything about audio or quality, but Apple logo will help people to invest to audio quality. "but Apple logo will help people to invest to audio quality." Huh? Audio quality isn't the only trait in a smart speeker. In fact, the cons of this HomePod arguably outweighs it's pros. In some actual audio quality related reviews however they say it puts too much emphasis on bass and the high frequency range, as a result the midrange just drops dead with the Homepod. The way it's built does strongly support those conclusions. Considering Apple is really pushing the music angle of the speaker, I'd say better invest in a Google Home Max if you want a smart speaker with great sound and that at the very least offers stereo sound which the Homepod doesn't. By the way since when does a logo have anything to do audio quality? Apple in particular is at best synonymous with mediocre audio quality. I can see the ad now! Sure we are 3 times the size and still don't sound as good but at least we have come down to the same price! Oh and don't forget that everything you ever say to us is ours to use to sell you to other people! Google! how do you like us know! I think it would be more useful to break out your rating in this case so people can understand your weighting. Sound quality 10 value for money 7 assistant 6 music service support 6 etc.... Otherwise people are not going to understand why Apple is going to sell Millions of these things and assume that those that do are sheep instead of understanding that people who are looking for Sound quality and going to gravitate to this product. It's mono. There is no stereo sound support for the HomePod. That is a major con. hell, even a soundlink mini from Bose or a sonos 1 would probably be a smarter buy. Or because it is the best sounding small footprint speaker in it's price class and is every bit as open as Airport Express (aka airplay) to any other service. Seriously, why would you want to use Bluetooth when Airplay is superior in every way. There are legit concerns about HomePod, just not anything you mention. I wonder how many really even need all these smart features? If it can play, stop, mute, lower volume and choose music etc. that's propably what most do with these? Maybe ask clock or set a timer or something simple. IKR.. And people always have smartphone around them anyway, they can trigger the same command to their phone to do those tasks, and they can connect it bluetooth speaker if they want to.. And people who really care about sound quality should already had a nice set of sound system in their home, and getting HomePod or HomeMax just doesn't make sense since their set already sound better, if they really need smart speaker, Echo Dot is a better choice since it have audio OUT port. So every person that cares about sound quality has already bought their home audio system? Bummer for the speaker companies! If you subscribe to AppleMusic or are willing to switch to it and care about audio quality but don't necessarily know a ton about speakers and amplifiers or just want plug and play convince. HomePod is an amazing product. "If you subscribe to AppleMusic or are willing to switch to it and care about audio quality but don't necessarily know a ton about speakers and amplifiers or just want plug and play convince. HomePod is an amazing product." This one got it! lolz - this trash bin really stinks. Amazon and Google got 9.
yep, rubbish bin v2.. Rubbish bin v1 is their Mac Pro.